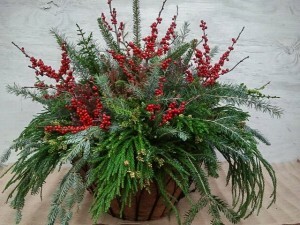 The last few weeks have flown by in a colorful blur of customers, Christmas trees, and deliveries of beautiful plants and flowers. 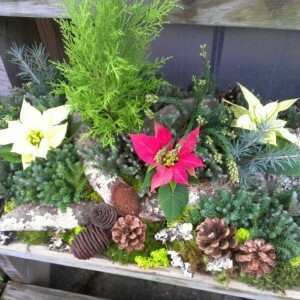 Now Christmas is almost here, though soon enough a new year will be upon us, filled with possibility and fresh beginnings. 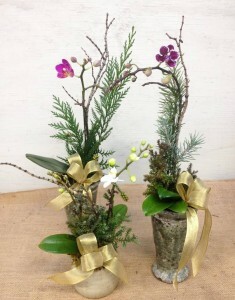 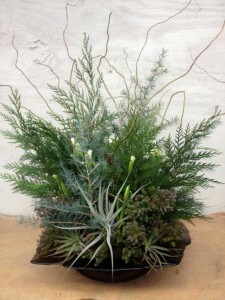 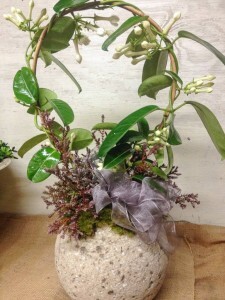 To celebrate, here is the first post of a few of our arrangements of flowers and cut greens from the past few weeks, our gift to you this holiday season. 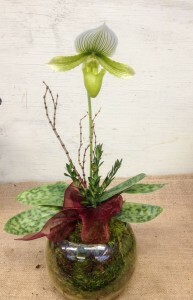 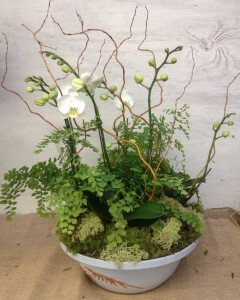 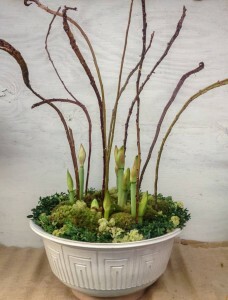 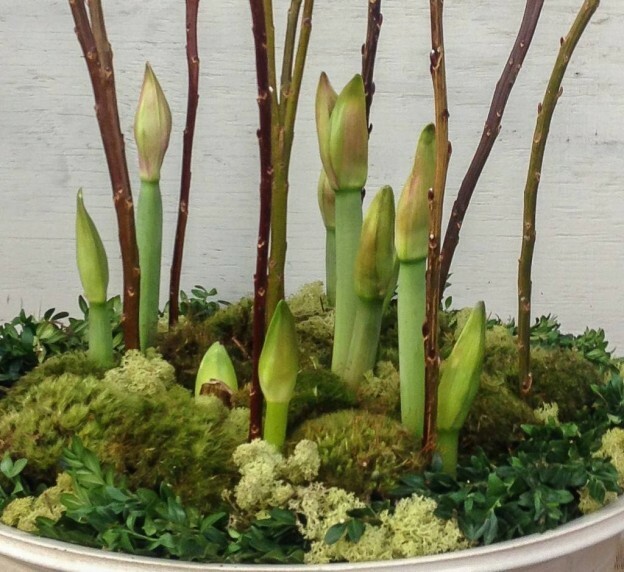 This entry was posted in Arrangements, Bulbs, Container, Flowers, Gifts, Holiday, Orchids and tagged arrangements with amaryllis, cut greens holiday, holiday amaryllis, holiday arrangements, lady-slipper orchid, orchid arrangements, orchids in containers, stephanotis wreath on December 13, 2014 by Kris Blevons.